He would probably be across the border in Argentina. Part of a mate circle. Hitching his way down long dusty Ruta 40. In a country so American I feel like I’m home already. And that’s not just been-gone-for-so-long homesickness talking. Chile and Argentina, completely different countries. They share the third largest border in the world. They can’t even agree on power socket designs. Us, we all feel a pull towards one over the other. Chile weighs in being more American, Argentina more Latin. Words are shortened, squished-together, dropped. and don’t care enough to understand. They put their own special pronunciation on everything. refilling from a bottomless thermos of hot water as the gourd empties. I haven’t seen Chileans pass around much more than a bottle of Coke Zero. and a bed if it’s that time of day. There are other sides to the differences. 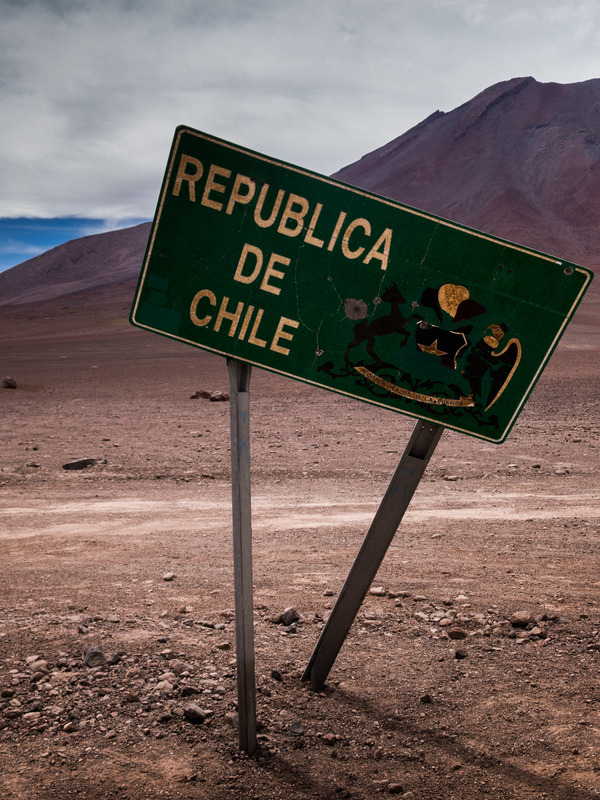 Argentina’s economy tanked, Chile’s didn’t. So Argentineans drive rustbuckets, Chileans drive brand new Fords. These are just generalities to set the scene. Walking among people so similar. We can joke and make fun about how the Chileans are so damn cold compared to the Argentineans. But on a one-to-one level it’s not true. I’ve loved my time here. Some time biking, some time with a friend, some time not moving getting work done. Trip end is coming up. There’s talk about sadness revolving around that. A finale always brings change. But change brings its own opportunities. I’m looking forward to the upcoming chapters. ← Argentina 1. To Chile, via Paso Pichachen. You are definitely ON THE ROAD! I sent it on to Miriam, who enjoyed reading your account. She spent a semester in Santiago (2005) and got your entry on Chile/Argentina while in Seville, Spain. Another comparison. But Valparaiso is where I want to go. The scenery is worthy of paintings. And ports and seasides touches me. Best of luck with the next step. Great to hear from you, Tove! Valparaiso was a great place to spend some time, lots going on there. Hope all is well with you all!